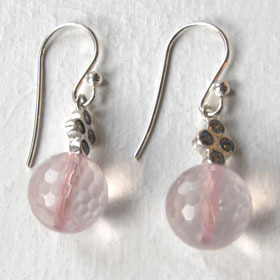 If you're looking for a pink to blend with lilacs, mauves, pastel prints and of course pink, rose quartz is your gemstone. 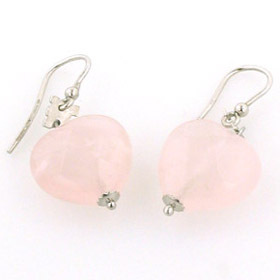 It has a delicate shade, like a baby pink and looks perfect set into sterling silver. 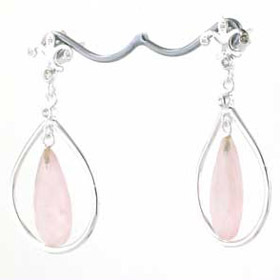 Natural rose quartz is translucent to opaque in texture and has visible inclusions. 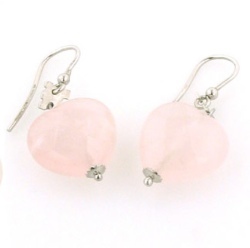 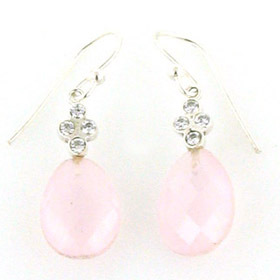 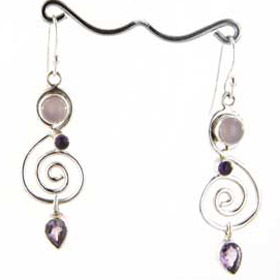 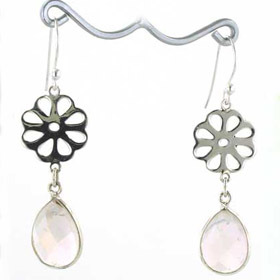 All our rose quartz earrings feature natural gemstones.